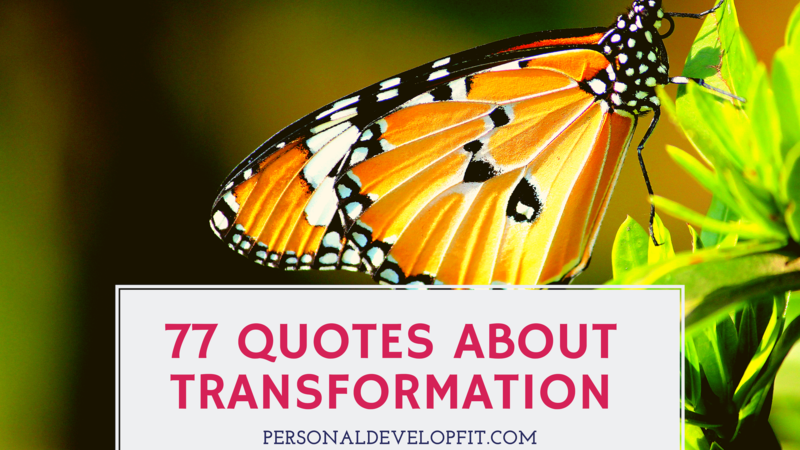 We all have this internal ability to transform ourselves. To essentially die to our old self in a spiritual manner. And because of it, we renew as a more beautiful, strong and confident version of ourselves. This process is very scary. Even referred to the Dark Night of the Soul. Where it is a period that is characterized by feeling lost, depressed, anxious and simply not feeling like you are yourself anymore. These are the signs that there is going to be a re-birth. It is the storm before the calm. You are venturing into uncharted waters. Into the unknown where you or anyone has ever gone before. But once you get past these choppy waters, you sail into calmer seas. Where everything is more tranquil and clear. Showing you your path clearly. Allowing you to venture into this new land with certainty that you made it through. And you are going in the right direction. This has for sure been my experience with transformation. I have died to my old self. Shed my skin. And emerged anew. And I can tell you right now, if you are in the middle of a transformation, keep going. Trust the process. Try to surrender to the process as best as you can. Get a good team behind you that supports you. And ride it out. Adapt and change as you see fit. Cut off people that don’t belong anymore. Make friendships with people who need to be in your new life. The more you resist the more it persists. So let go completely. And you will transition through this stage of transformation with more ease. And come out on the other side of it more powerful and transformed than you may have every thought possible for yourself. This is why I wrote this article for you. To act as a beacon of hope during this stage in your life. To give you confidence that people have gone through this before. That it is scary. 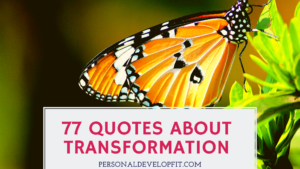 But through quotes about it, you can see different perspectives and learn all the positive aspects about transformation. Reach out and tell us about your transformation in the comment section below. So we can all help each other with what can often times be the toughest but more rewarding experience of our lives! “Love is the only force capable of transforming an enemy into a friend.” – Martin Luther King Jr. So there you are my friends. A shorter one today, compared to what I usually offer my friends who read this blog. Share with me what your favorite quotes were. And especially share any transformation process that has occurred in your life. And best yet, what you did and how you made it through. What has worked well for you. Something that can help us all navigate the waters of transformation in our lives!